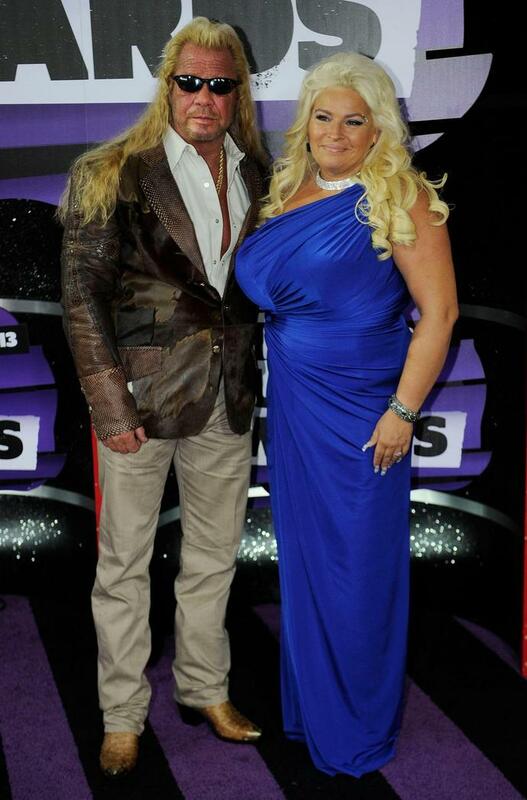 Beth Chapman holds tight to husband Duane "Dog" Chapman, amid the return of her throat cancer. "Sooooo in love with this guy !" Beth wrote in an Instagram post shared Friday of the two embracing with lush greenery in the background. In November, the couple's attorney Andrew Brettler told USA TODAY that Beth's cancer had returned, and she recently had an operation to remove a cancerous mass from her throat. Duane confirmed his wife's 2017 stage 2 throat cancer diagnosis in a Facebook post. "She is not doing good," Duane told TMZ in November. " I appreciate the question and please say a prayer." In January, Beth shared a selfie on Instagram, her first since beginning chemotherapy. Chapman gave a slight smile in the post, in which she used the hashtags "#cancersucks #stayhumblepray #itsonlyhair." She has continued to talk about her ailment on social media. "I think stress is my number 1 culprit," she told a Twitter user on Feb. 7. "so many people try to blame cigarettes I don't smoke and honestly stress is my Achilles heel." On Feb. 10, Chapman posted an Instagram about CBD and THC (compounds found in marijuana), telling followers: "We need to all be far more open minded to new treatments."